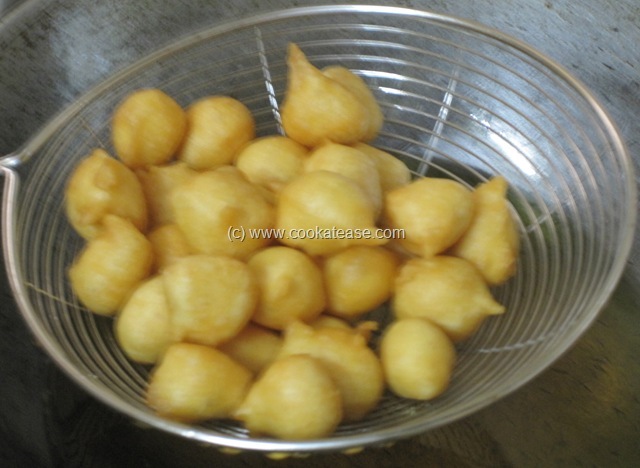 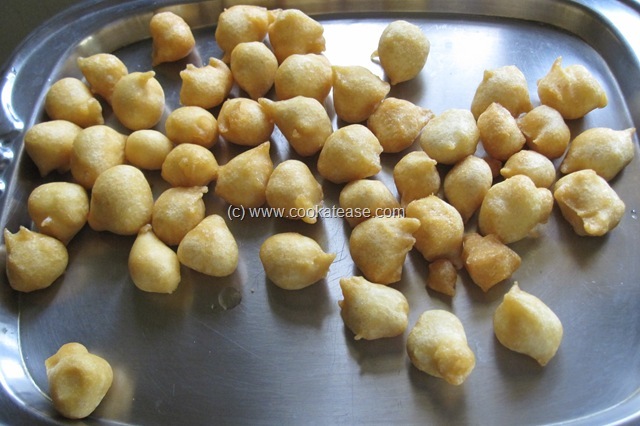 Paal Paniyaram is a simple sweet and can be prepared easily. Deep fried rice-urad dal balls are soaked in sweet milk. 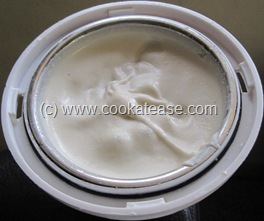 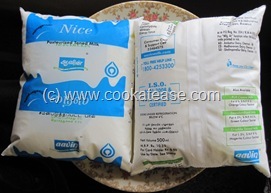 It can be ordinary milk or coconut milk or mixture of both. 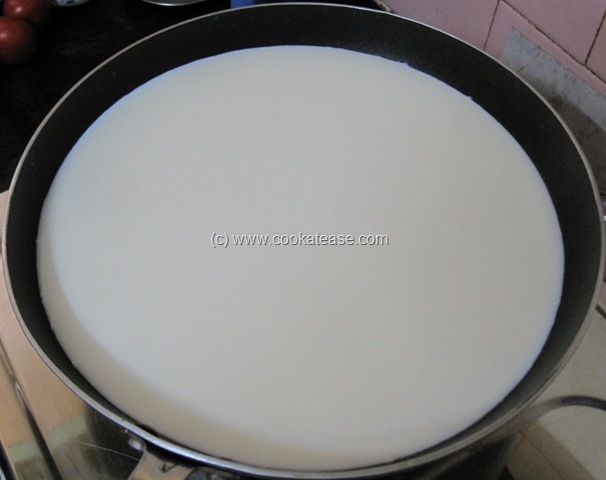 Here I have prepared it with ordinary milk. 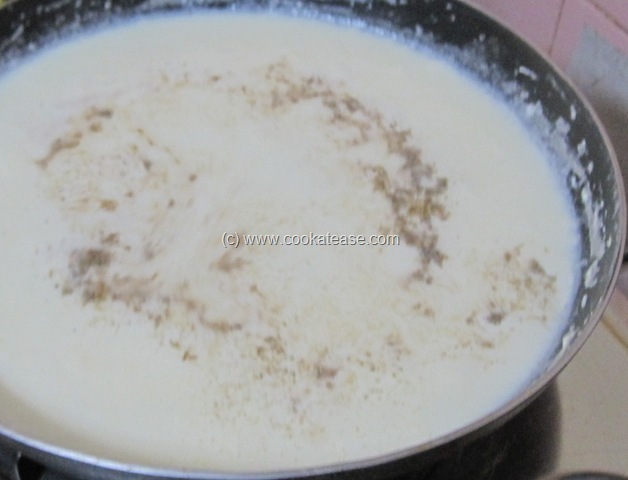 I boiled the milk to make it thick to get nice taste of the dish. Milk is known as Paal in Tamil. 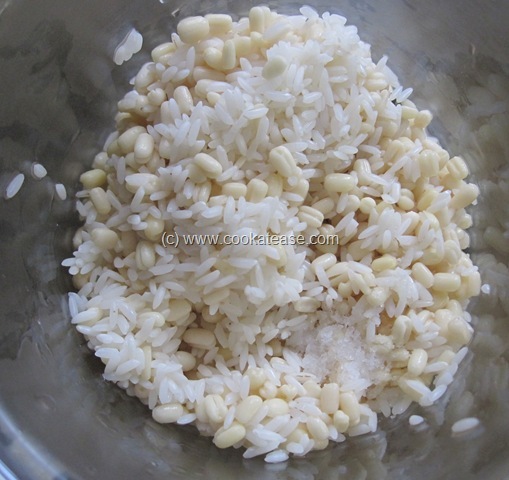 Soak rice and urad dal for 2 to 3 hours; grind it with salt to a smooth paste, so that it can absorb milk when soaked in milk after deep frying (this should not be too thick or too thin). Boil milk in a wide pan; let it reduce in volume to half approximately; then add sugar, cardamom powder and mix well. 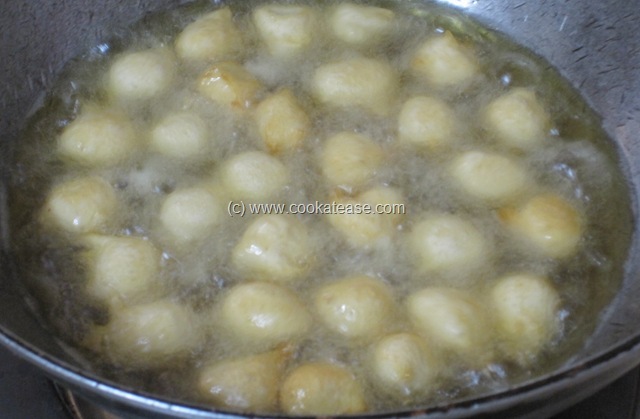 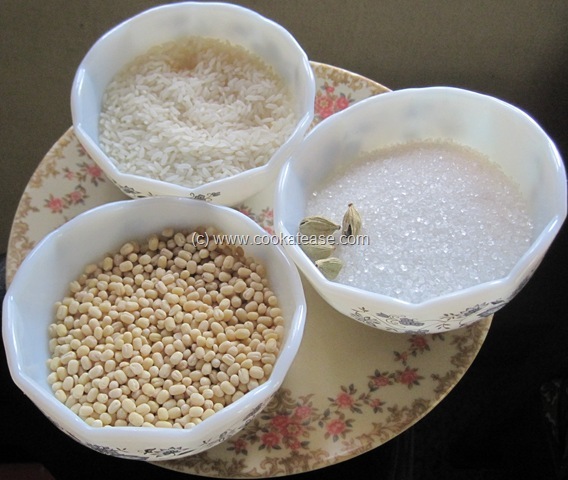 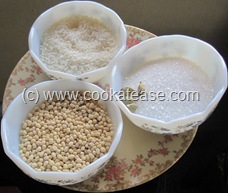 Heat oil in a pan; shape rice-dal paste into small balls with wet hands and deep fry them. 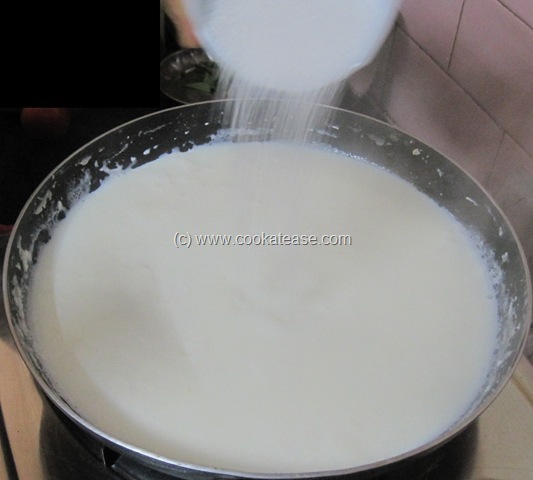 Add this in warm milk. Soak it for 15 minutes and then serve. 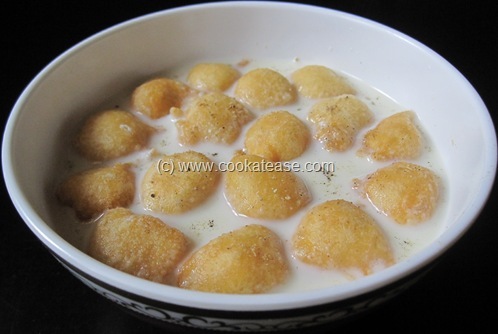 Deep fried rice-urad dal balls can also be soaked in coconut milk. 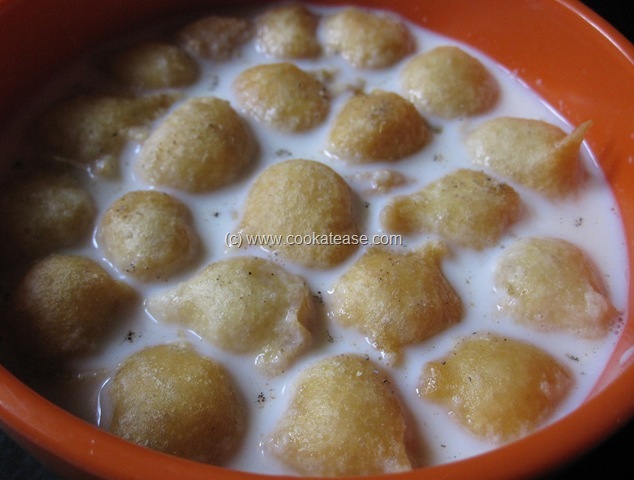 Looks so delicious…new to me..